Many people reading this may be fortunate enough to have a retirement account established for them through their employer. But for small business owners, like myself, we have to create our own ways to save for retirement. I am always surprised to see that many small businesses don’t fully evaluate their options, and if anything, they are simply adding the bare minimums to a regular IRA each year – and calling it a day. According to this study from Manta, more than a third of small business do not have anything set up – for a variety of reasons. But I think those people are missing the boat – not taking advantage of the opportunities at hand. Formally setting up a plan requires knowledge and motivation to get it going. Understanding your options may help you save more for retirement and less money going towards taxes. Whether the small business owner is a sole employee or has a couple employees – one of the main reasons to establishing a retirement plan is because there are opportunities to save massive chunks of money away for retirement. And the side benefit of these savings? TAX DEDUCTION! The business can reduce their taxable income on contributions they make to a retirement plan. A complaint I often hear from people is the amount of taxes they pay each year….well, if you aren’t taking advantage by setting up one of the plans I mention below – I don’t want to hear it! Another big reason that employers should consider setting up a plan is for recruiting and retention purposes. If you are looking to attract quality employees, having a retirement plan in place would make your business more competitive. Taking it a step further, setting up a plan would also increase employee satisfaction. Employees may be less tempted to look around for “better offers”, and studies show that retirement plans help result in more loyalty. What business owner wouldn’t want to retain talented employees? Traditional IRA or Roth IRA – I list these “basic IRAs” first because they are most common and easy to understand. They are not unique to business owners because they are individual plans, but they may be ideal for those just starting out. They could serve the purpose if the employer doesn’t have the means to add more than $6k ($7k if age 50+) to an account each year. However you may use these to compliment a plan you open for your business, i.e. use it in conjunction with one of the plans below. If you want to put away more than $6k – these IRAs (alone) aren’t what you will want. Simplified Employee Pension Plan (SEP IRA) – A SEP IRA is for self-employed people and small business with a small number of employees. I frequently see the SEP as a very solid option for sole proprietors and their spouse. The SEP IRA is easy to set up, is low cost, and can allow for substantial contributions. In 2019, one can add 25% of eligible compensation up to $56k. Contributions come from the employer (not employees) and can vary each year – nothing is mandatory. Individual/Solo 401(k) – Similar to the SEP IRA in that it allows for employer contribution amounts of 25% of compensation and $56k maximum, this setup also allows for employee contributions as well. Thus it’s considered the most generous of the plans for allowing contributions. One knock is this plan is costlier to establish and maintain. Also called “Individual-K”, it is similar to the traditional 401k that bigger companies offer but only a business owner (and spouse, if applicable) can set this account up; so it not possible if there are other employees on the payroll. I’ve seen people use these accounts to buy real estate and other non-traditional investments in, not just the traditional stocks, ETFs, and bonds. Savings Incentive Match Plan for Employees (SIMPLE IRA) – I often see these SIMPLE IRAs set up for small businesses such as dentist offices, smaller electrician companies, and spas/salons. SIMPLE IRAs can be set up for any number of employees, as many as 100. It has the structure of a 401k plan, but is lower cost and with minimal paperwork. This type of account requires the employer to make contributions each year (either a $-for-$ match up to 3%, or flat 2% of pay) regardless if the employee contributes or not. The employee can elect to make contributions as well (up to $13k, or $16k if over age 50), so this is a nice little chunk of change. 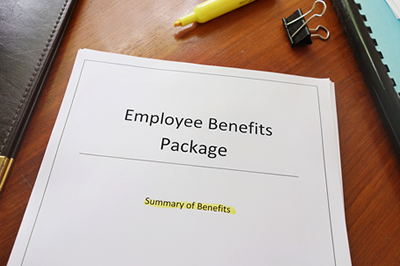 Defined Benefit Plans – one of the lesser used options are defined benefit plans. I like to think of these only available to “the 1%”, i.e. ultra high-income professionals with significant cash flow, and who can also afford the expensive administrative charges. It requires annual filings as well, but when used properly provides a substantial way to sock hundreds of thousands of dollars away annually. So, they work well with those who qualify. There are more details and fine print, which I encourage you to learn more about. Feel free to ask me to go into more depth. But once you decide which plan works best, you’ll have to decide where to open the accounts and how you’d like to manage it. And you might also want to bounce it off your accountant to make sure you set it up correctly. Once it’s set up and on auto-pilot, you will be glad you did it!